NEW SELECTION | Jun Chiyabari Estate | Fancy Silver Tips and mellow character | Second Flush Harvest | Only small amounts of this harvested tea from the Top of the world are made available to the market. 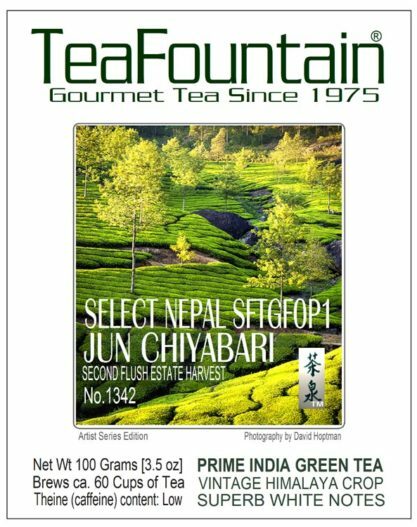 Founded in 2001, the Jun Chiyabari garden, located in eastern Nepal, produces very carefully and gently processed green tea qualities. 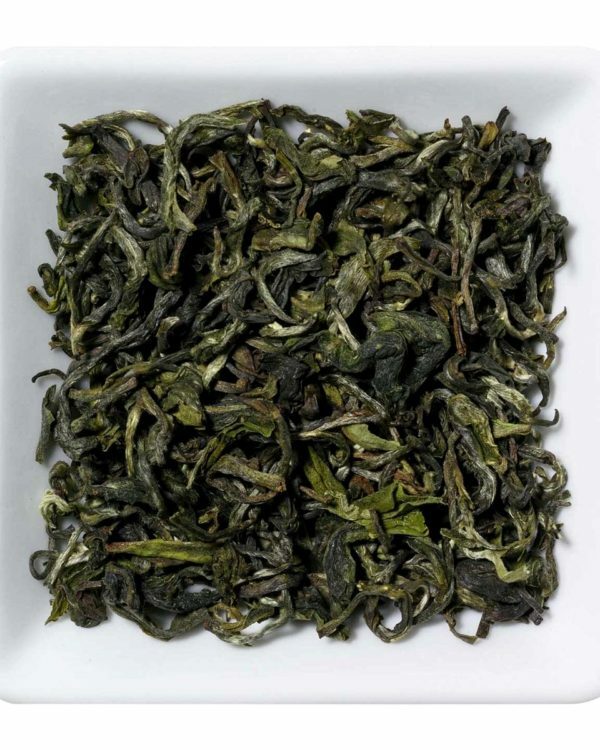 This SFTGFOP1 represents a superb green tea with White Tea fragrance. Contains plenty of silver needles, and carries a champagne-like character. 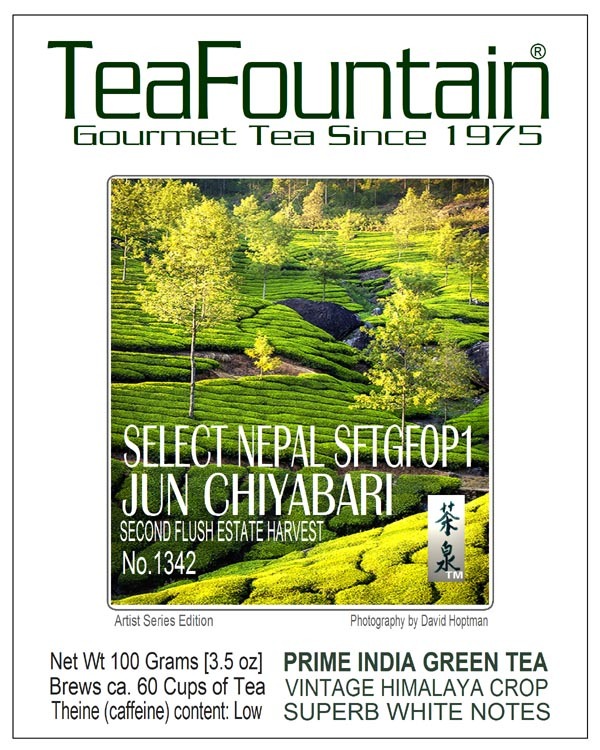 Ingredients:Finest Second Flush Tippy Golden Flowery Orange Pekoe Green Whole Leaf Tea with Silver Tips from the Jun Chiyabari Estate in Nepal. Suggested Water Temperature: 170 F | Suggested Infusion Time: 4 Minutes. 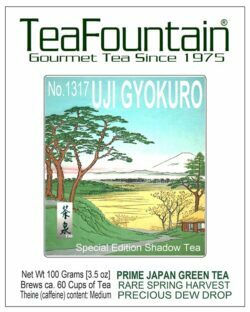 Culinary notes: Because of its delicate character this Green Tea is offered as a choice with milder foods, vegetarian, macrobiotic or vegetable recipes and special desserts including fruits, light cheese selections. Suitable as afternoon and High Tea choice. 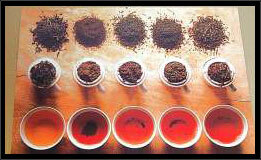 Second Flush: Second major harvest period / June through October / The second period when the tea leaves after plucking are flushed out onto screens to be processed. Preparation: Bring fresh water to the boil. Warm up your tea pot by rinsing it with hot water. 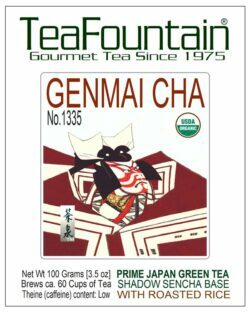 Fill one teaspoon per 6 oz cup of this Green Tea into the preheated tea pot or preferred cup. Pour the hot water into the tea. Let infuse up to 4 Minutes and serve. 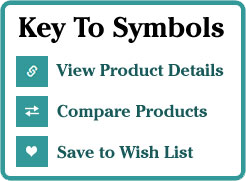 Remove infuser or pour your tea into another tea-pot or thermos carafe. Using an infuser or ‘Permanent Tea Filter’ for your cup or pot makes it easy to separate the leaves from the beverage after steeping.